Carte de visite entitled “EMANCIPATION,” 1863, J.P. Soule. 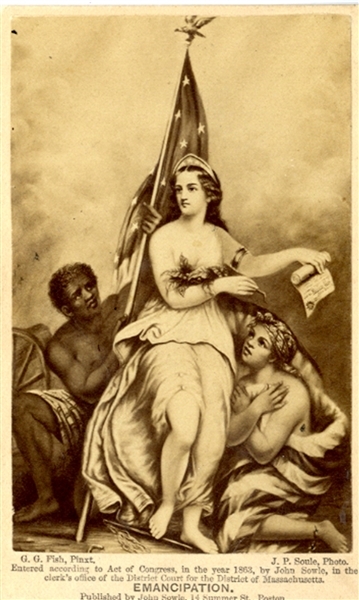 Image depicts slave man and woman with Lady Liberty. Fine condition.